Includes : Jeweled feather hair clip; point gloves. Adult camisole leotard with high front neckline in lace and shelf lining. Adult camisole leotard with scalloped edge lace insert at midriff/neckline and shelf lining. PLEASE NOTE THE PICTURE SHOW A PURPLE BODYSUIT HOWEVER THE LISTING IS FOR A BLACK BODYSUIT. STYLE: Simone Biles tank leotard. GREAT DETAILS: Electrify the audience in this statement leotard, sublimated on subfuse featuring silver hologram spanglez™. PERFECT FIT & FEEL: This leotard boasts the most vibrant colors in comfortable and durable subfuse fabric. GK CHAMPION: Simone Biles is the most decorated American female gymnast in World Championships history. She was officially added back to the National Team on March 1, 2018. Her first competition was the U.S. Classic where she won the all-around title, gold on floor and gold on balance beam. Biles also recorded the highest single vault score at this event. In August 2018, Biles competed at the National Championships where she placed first on every single event - she is the first woman to do this since Dominique Dawes in 1994. Biles won the all-around 6.55 points ahead of second place finisher and set a record for most national all-around titles with five wins! She has a total of 14 World medals, 10 of which are gold, and was awarded the 2016 Female Olympic Athlete of the Year. Supplex® T-Back camisole leotard with a multi-strap back. Microfiber tank leotard with pinch front and multi-strap back. Scoop front, tank leotard with Floral Lace inserts on shoulder straps and on back. Built-in shelf bra. From Leos we offer an adult size bodysuit with back straps, tank style leotard made of stretch cotton. From Leos we offer an adult size bodysuit with cross back straps, tank style leotard made of stretch cotton. spagetthi staps and mesh diamond pattern back. Tank leotard with pinch Slight front V. Built-in shelf bra. Make your little one the shining star of the show! This pinch front microfiber leo from the Little Diamond Collection features a mesh back with quilted overlay design and super-stay glitter detail. The soft, durable mesh lies smoothly on the skin without scratching or fraying. Measurements 54 inches, chest 32 inches, 26 inches. Tank leotard with pinch and double straps crossed at back. 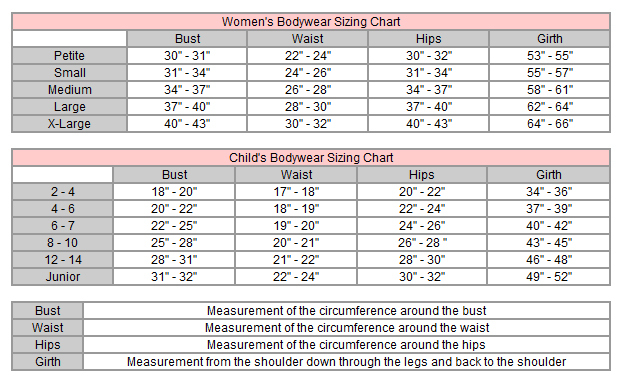 Measurements 48 inches, chest 26 inches, 24 inches.